During Son’s two week mid-term October school holiday, we escaped the gloomy UK autumn and traded it for the blue skies and sunshine of Florida. (Actually it was not that gloomy but anyway…). Our last night in America was Hallowe’en, much anticipated by all of us, the excitement had been building up throughout our stay and was infectious. It is not such a big deal in the UK so we loved the whole experience. 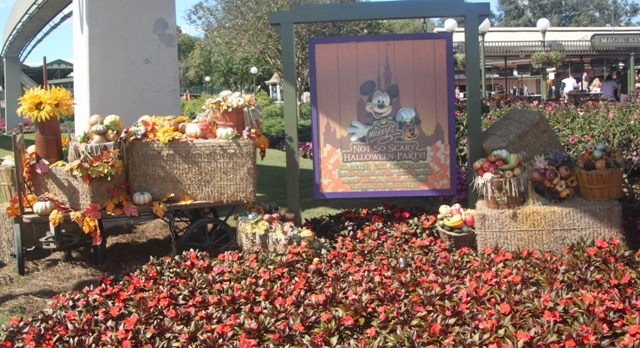 Just before the big night we headed to the Magic Kingdom in Disney World for Mickey’s Not So Scarey Hallowe’en Party. This is a ticketed event held on select nights in October and wanting to experience as much of an American Hallowe’en as possible, we figured it would be a fun thing to do. It was, we did all have a good night, but if I am truthful I totally preferred the “real” Hallowe’en celebrations in the little town nearby – families dressed up and children trick or treating around the neighbourhood – that was wonderful. Anyway, back to Mickey’s party…. They promised Hallowe’en themed fireworks, entertainment and trick or treating – all delivered and it came with the guarantee that the living daylights would not be scared out of us. That works for Son and me – chickens both and not ashamed. We arrived around 7pm and found the whole place lit up with spooky special effects and misty fog swirling in the air – the atmosphere was instantly eerie and spooky. I loved all that, but most of all loved the costumes, adults and children alike had made a massive effort. Apparently only children aged 9 and under are normally allowed to dress up at Disney, this was a rare exception and all the adults were going for it. We had done our research – they say week nights are less crowded and Tuesdays are the best night to visit. On our Tuesday though it definitely didn’t feel less crowded, people everywhere I dread to think what a busy night would be like. Everyone was already staking their pavement claim for the 8.15 parade (over an hour beforehand) so we felt compelled to do the same. I didn’t mind, there was plenty to watch with all those costumes and the fabulous changing lights on Main Street, but Son was fidgety to say the least. Eventually the lights dimmed, the streets were cleared and the story of Sleepy Hollow boomed out over the loudspeakers, followed by the Headless Horseman galloping down the street. Extremely well done, it sent a shiver up my spine. However, we then had about another 20 minute wait before the main parade finally arrived, even I was getting fidgety by this point. 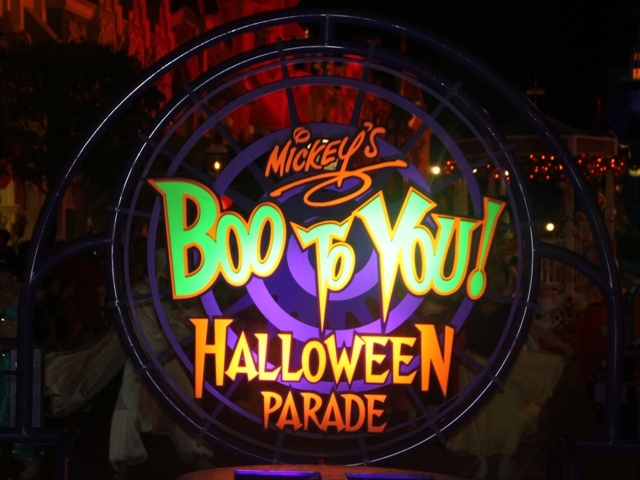 The Boo To You Parade when it eventually rolled up was good, an array of Disney characters with a great Haunted Mansion float in particular and some ghosts and ghouls. I wasn’t entirely blown away though, maybe all that waiting had made me grumpy. Next up was an amazing show projected onto the Cinderella castle, many special effects and the whole thing was mesmerising. Then the fireworks lit up the sky and I have to say, they were completely magnificent. We tried out a few rides after all that waiting around – this was what Son was keen on doing from the very beginning. 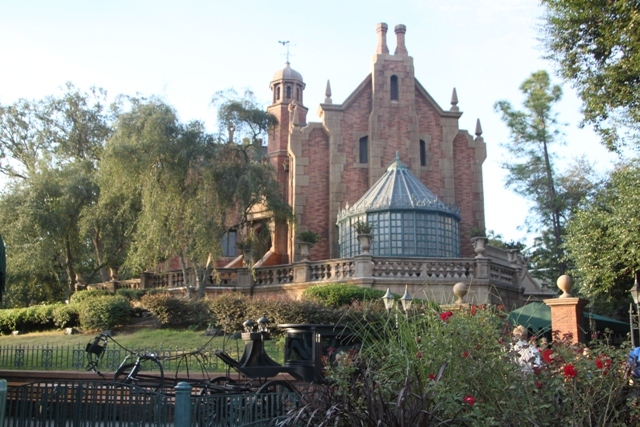 No waiting and no queuing which was definitely a bonus, our highlight was the Haunted Mansion ride. 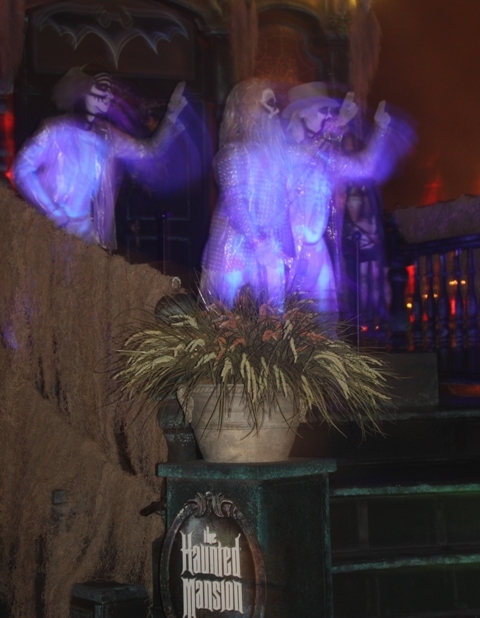 Fun on the ride, but with the special lighting outside and the “ghost” lady on the lawn interacting with the crowd, we loved it. 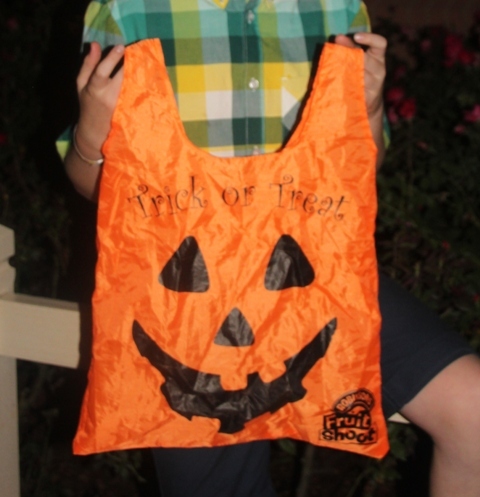 Son collected a bag and we trekked around all the Trick or Treat stops. At various locations throughout the park, he loved the experience. I was a bit unsettled at the vast quantities of confectionary that were being doled out. He has enough to last until Christmas at the very least, mostly confiscated when we got home and stashed away by me for a rainy day. Luckily we did not incur excess baggage charges on the flight home – not too sure how we avoided that. We left the park just before midnight, Son gave the experience a big thumbs up with the trick or treating being the highlight. Husband and I enjoyed it, the parade was entertaining, the fireworks were spectacular, there were all sorts of mouth-watering treats to buy and the lighting and effects were outstanding. In all honesty though we preferred the authentic family Hallowe’en we experienced later in the week. That was something special and unmissable. New Year’s Eve must have been a great time too Erika – a very different experience I’m sure!! 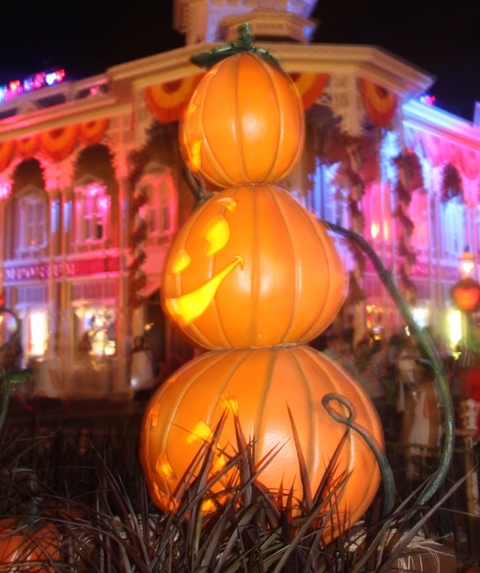 Yes, what a coincidence about Hallowe’en and both being in America – love your pictures, your trip sounded amazing. It feels today though like we’ve never been away – the weather is dark, wet and miserable. Still at least we have the pictures to look at!! Yeah, a different world over here too 😉 But at least the sun has come out and the temperatures are supposed to rise a little again. But however winter is coming and has its beautiful sides as well! I love it when it is snowing at night and I am home cosy with a cup of tea, most of all around christmas time. That looks like a lot of fun and very American. 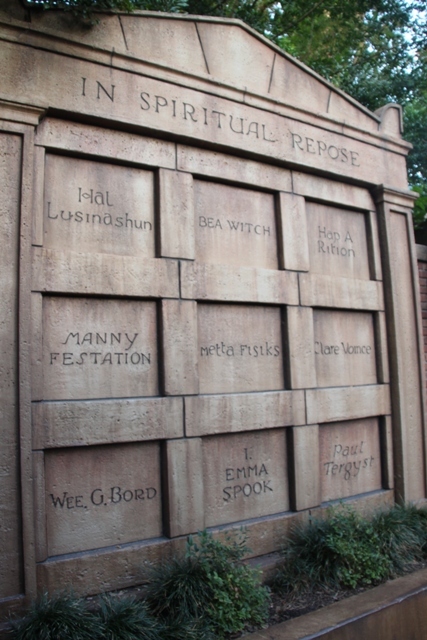 One thing you can rely on with Disney is that they pay attention to all the little details. We, incidentally, strictly control how much of the halloween candy each child is allowed to consume per day. It’s not a problem with our oldest anyway as he hangs on to chocolate for so long it starts to form a white powder from breaking down. My husband and I are taking a bet on what month he eats his last item of halloween candy and have chosen April and March. Anyway I do hope we get to see more of your trip to Florida. We are going to Orlando in December so maybe I can pick up some hints and tips from you as I’ve never been to Florida with kids. We’ve stashed it all away – taken a few bits and pieces out but it will last for ages! We had a great time in Orlando – think December would be a great time too for a visit with cooler weather, probably take me an eternity to sort through all my stuff and photos but hopefully will get some posts written before you go!! As usual, I enjoyed your post. I would completely agree with you that the authentic small-town Halloween would be much better than the totally choreographed Disney version. 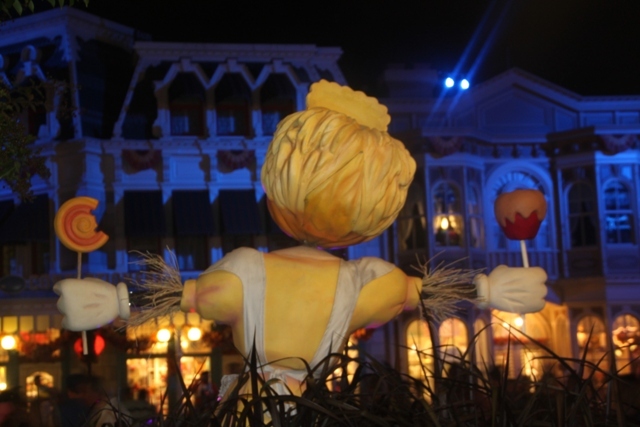 It was really special for us to experience the authentic Hallowe’en – not to say we didn’t enjoy the Disney evening, but the real thing is always so much better! Something we have never done in all our trips to WDW – it sure looks like fun though! Maybe something for the future! It was a good evening for sure. 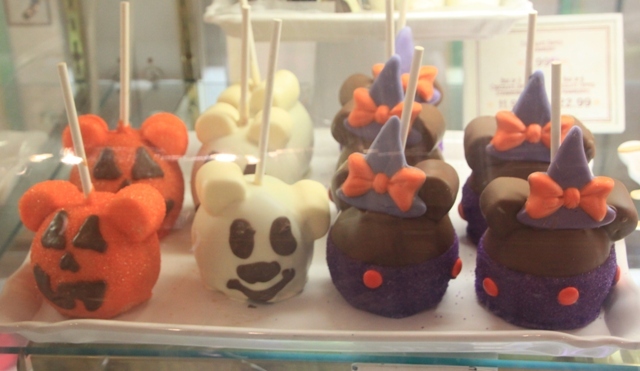 They looked so gorgeous – agree with you, too cute to eat!! Hey, that is a great idea; to escape the dark autumn AND experience Halloween in the States, especially the sunny states. I’ll have to remember that for next year! I can’t tell you how good it felt to see blue skies and wall to wall sunshine in October, such a novelty for us!! Hallowe’en was an added bonus, definitely recommend! The weather for us was such a novelty – blue skies, warmth and sun in Oct/Nov is not something we normally experience – coming back to grey skies and lashing rain was not easy!! 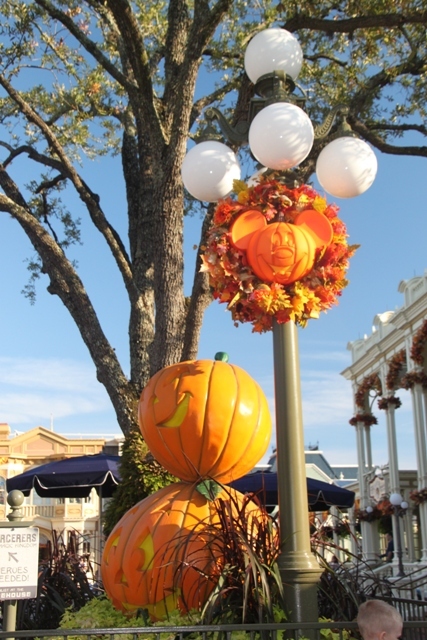 We loved our time away, Hallowe’en Mickey style and American style was just fabulous. I suppose the sight of all those costumes and unusual goings on must be very weird for your poor dog!! We had a great time in America, when I eventually get round to sorting my mountain of pictures I will post!! Probably take a while – I’m always months behind. Enjoy the weekend! I remember when I was younger we used to get about 200 trick or treaters Halloween night but over the years it’s sadly dwindled to about 10. I think parents have become paranoid about their kids knocking on strangers doors and a few candy scares have reduced the numbers. Every year there are a few instances of needles being hidden inside chocolate bars (some people are very messed up). I’m sure you already know this but make sure you check the little ones candy. Looks like you guys had a fun night and lovely weather 🙂 Unfortunately in Canada it usually snows on Halloween so we end up having to wear a winter jacket over our costumes. I might have to go to Florida for Halloween next year! Definitely bring those traditions with you – we need more of that for Hallowe’en over here!! I get the issue about kids knocking on strangers doors completely but never knew about those candy scares – how awful that anyone would do that. Thank you for the warning! We had the best weather in Florida, warm but not too hot, no snow in England but plenty of rain so winter jackets all round!! I’ve never been to DisneyWorld during any holiday, and I think it would be a very fun adventure. 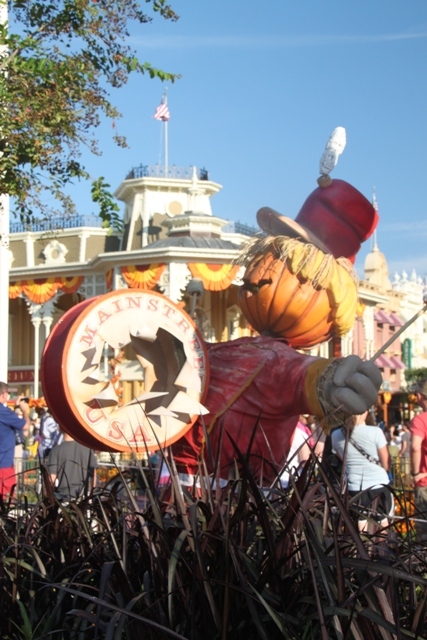 Crazy but here in the States, it seems that Halloween has gotten to be almost as big as Christmas. It is a great place to visit during a holiday, they go all out to make the most of the occasion and we loved that! We also loved Hallowe’en stateside – we don’t make so much of it over here so it was lovely to get excited and join in with all the fun. Definitely a great experience. Loving your blog too Melissa – more adventurous places than we’ve been to, so loving that we get to explore with you! 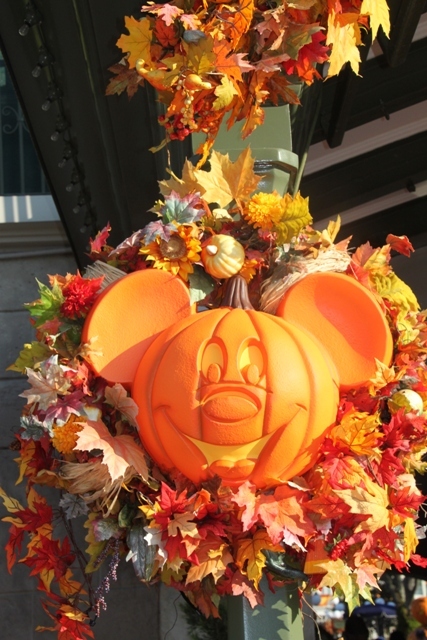 It must have been quite an experience going to Disneyland during Halloween time ! I’m going to Disneyland paris next week for xmas theme, I hope we will get great weather. Have a nice week ! It was such a lot of fun at Hallowe’en, we loved the whole experience especially as here Hallowe’en isn’t such a big thing. Going for the Christmas theme should also be great fun too – hope you enjoy it!! Halloween in America is just such a special experience! I remember spending it dressed as the little red riding hood in New York a couple of years ago. So cool! Hallowe’en in New York sounds like it would be amazing!! We had such a great time and would love to do it all again sometime.